Happy New Moon friends! 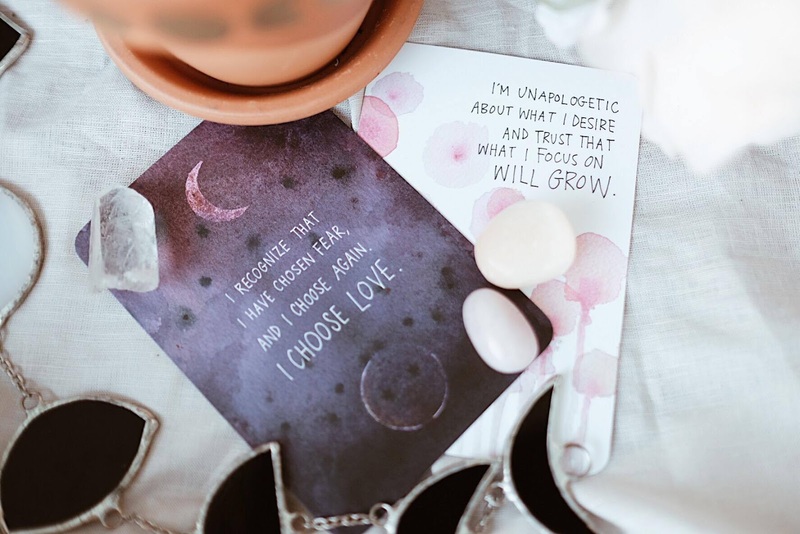 New moons are all about letting go of the old and making space for the new. It's a time to plant seeds for the future that will grow as the light grows. It's a time to energetically pull what you want toward you by setting intentions. And the cool thing is, we get to do it every 2 weeks! I know that moon cycles and mindfulness and energy can feel overwhelming and be hard to wrap your head around. 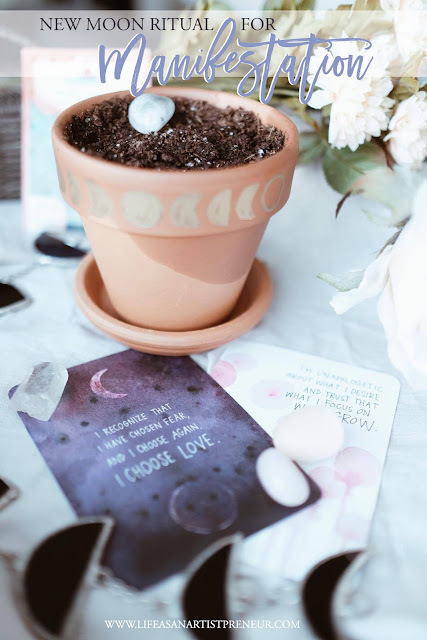 I'm not expert, but I've been on a spiritual journey for a while and this little ritual is one I read about and had been wanting to try so I figured what better time than now, with this new moon to try it myself and share it with you to try too! So we all have heard that THOUGHTS BECOME THINGS and that what we think about expands and that we should focus on the positive so that we attract more of it into our life. We've heard that there's an invisible force out there (call it God, call it the source, call it the Universe, call it the Force if you want, haha) and that it is limitless and that we can connect and tap into it. But how? The moon pulls on us. It's strong enough that it pulls the oceans so strongly that it creates tides. Why wouldn't it pull on us as well? 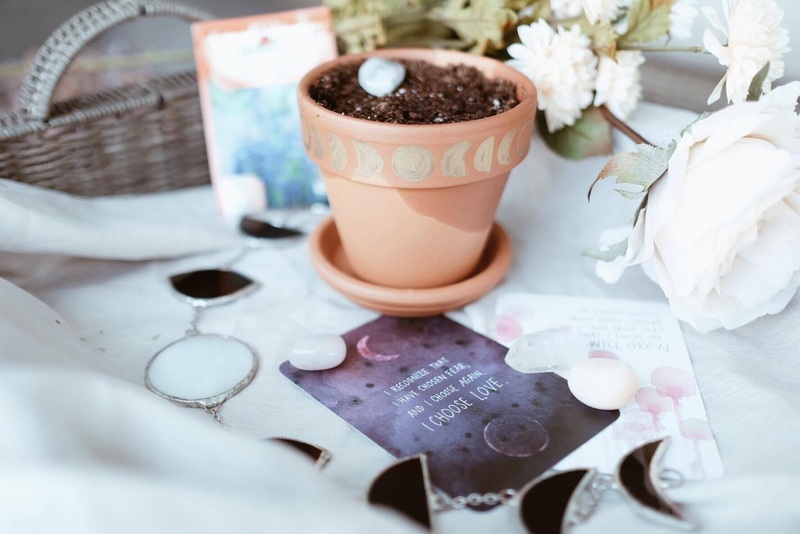 New moons are a time to set intentions and focus for the next part of the cycle. If manifesting is real, then this is when we decide what the next things we want to manifest is. And we have to trust that that invisible force is going to be working things out behind the scenes for us while we go about taking action toward our goals in our day to day life. The idea of this ritual is to take something that can feel so abstract and make it visual and tangible for us to see and experience. 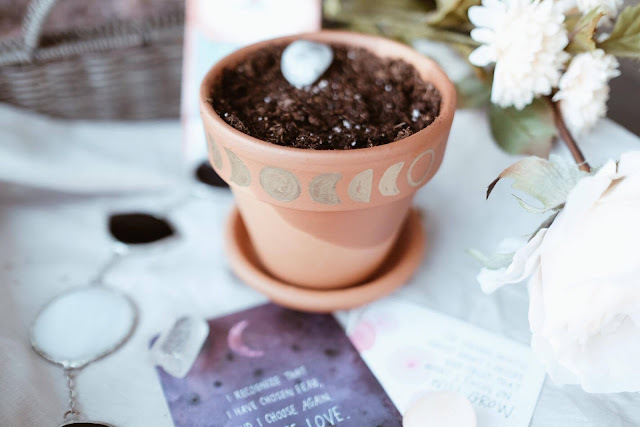 As you plant the seeds of your intentions that you want to manifest into your life in the next two weeks, you also plant physical seeds as a physical representation of those things you are planting in the universe. Then, you care for them, just as you have to take action on your desires. (You can't just sit around thinking about them.) You water the seeds, you make sure they get light and are the right temperature. And just as the invisible force of the universe is working on your intentions and manifesting them into your life, that same invisible force is working to bring the seeds to life! and I trust that what I focus on will grow! If you liked this, let me know! And if you want more talk about mindfulness let me know too! I'm happy to share more about my journey if it helps someone else!